Translation as Transformation in Victorian Poetry illuminates the dynamic mutual influences of poetic and translation cultures in Victorian Britain, drawing on new materials, archival and periodical, to reveal the range of thinking about translation in the era. The results are a new account of Victorian translation and fresh readings both of canonical poems (including those by Browning and Tennyson) and of non-canonical poems (including those by Michael Field). 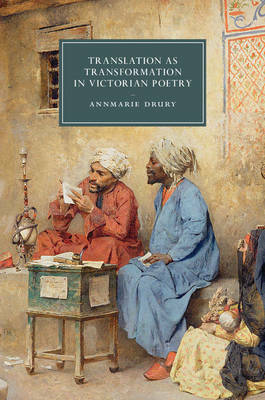 Revealing Victorian poets to be crucial agents of intercultural negotiation in an era of empire, Annmarie Drury shows why and how meter matters so much to them, and locates the origins of translation studies within Victorian conundrums. She explores what it means to 'sound Victorian' in twentieth-century poetic translation, using Swahili as a case study, and demonstrates how and why it makes sense to consider Victorian translation as world literature in action.